In this review I will test the second revision of this lens. The second revision introduced a slightly different body design which feels better and more durable. There are no additional changes known so except for the chapter “Build quality” all other chapters should apply to the first revision, too. The lens is available in black, pink and white. You need to lock the lens to collapse it completely. Locking and unlocking the lens can be a bit annoying over time, but protects the lens elements. Speaking about autofocus this lens is probably the slowest lens in the NX line up so nothing you want to use it for action photography or video. Depending on the situation the lens needs about one to two seconds for focussing. Additionally it is emitting an awkward and loud noise when focussing. I wouldn’t use this in a quite environment. The manual focus is fly-by-wire and feels like with most other fly-by-wire lenses produced by Samsung. Unfortunately there is no AF/MF switch on the lens. The lens is not focussing internally which means that the front element of the lens is rotating when focussing. This could lead to problems when you are using a graduated neutral density filter or a polarising filter. 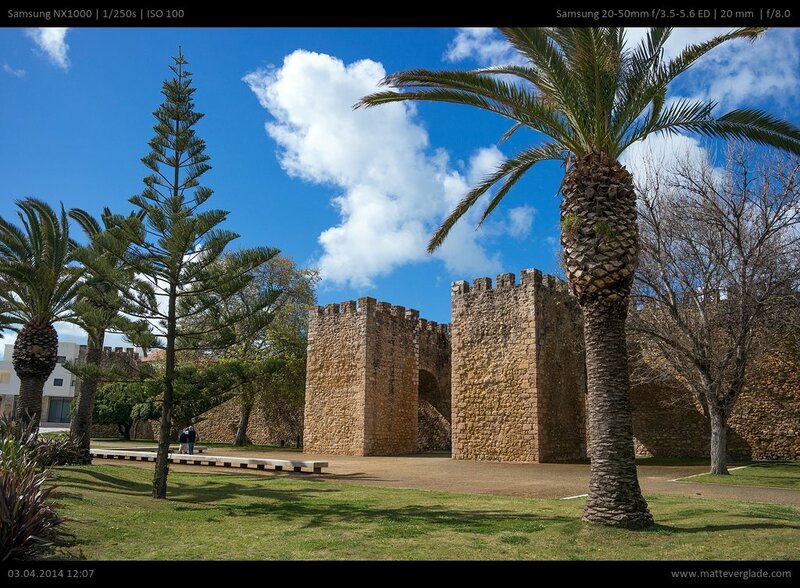 Distortion and vignetting are automatically corrected by Lightroom based on the information Samsung delivers with their RAW files. Therefore those aspects are not evaluated in this test. The RAW files don’t show any noticeable vignetting and distortion after correction (if any is applied). I shot test series at 20mm, 24mm, 28mm, 35mm and 50mm. To make this article short and sweet, I skipped the analysis for the test series at 28mm. Overall the lens is quite good for a kit-lens. At 20mm the lens is quite weak from f8 or f11 onwards, but already at 24mm the problem is mostly gone. At 50mm the corners quite weak. Having this in mind the lens gives above average results for a kit-lens. The center is very good at all apertures until diffraction starts at f11, which is quite early. The weak sharpness at f8 is probably due to a focussing error as the sample images (see below) are much sharper at 20mm and f8. The midframe is good only at f5.6 and f8. The corners are decent at f3.5 and get better until they get quite good at f5.6. From f11 onwards the corners get worse. Looking at the 24mm and 28mm tests the results get better at f11. To put it in a nutshell, f5.6 and probably f8 are the best apertures at 20mm. The bad result in the comparison is probably due to a focussing error on my side. 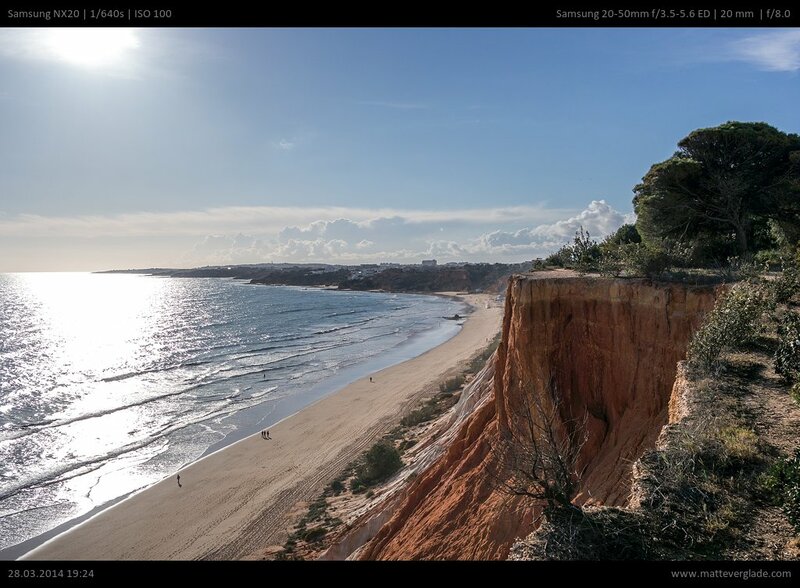 For sharp photos at 20mm and f8 have a look at the samples in the corresponding chapter. 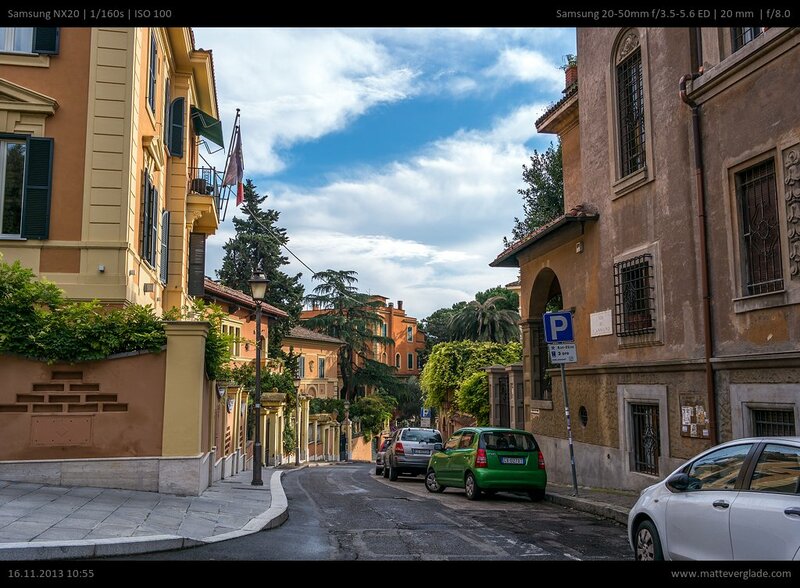 The sharpness improves a when switching from 20mm to 24mm. The center at f3.5 is near to good and from f4 to f8 is really good. From f11 onwards diffraction is more and more visible, but at least f11 is also near to good. The midframe is a bit soft from f3.5 to f4, bit is near to good at f5.6 and f8. The corners are best at f8 and get worse/soft when stopping up/down. Overall this focal length performs quite good when used with apertures between f5.6 and f11. The center is already good at f4.5 and from f5.6 to f11 there is nothing to complain about. The midframe is okayish at f3.5 and gets quite good at f8 and f11. Diffraction kicks in after f11. Sadly the corners never get really good and are only decent at f8 and f11 where the corner performance is on it’s top. The center is good at f5.6 and f8 and gives the best results at f11. f16 performs similar to f5.6 and at f22 the diffraction is clearly visible. Midframe performance is at it’s best at f11 and is only decent before and after. The corners are quite soft and blurry at all apertures. The corners at f5.6 are the worst in this test. To sum it up the lens performs best at 50mm when the aperture is set to f11. The circles in the bokeh are round at maximum aperture and are getting a slightly polygonal shape when stopped down. The general impression of the bokeh is acceptable, but I’d like it to be a bit more creamy and soft. Depending on the background it can get a bit busy, too. But as this lens is not very fast there are probably not much situations where you really get much bokeh anyway. In certain circumstances the lens produces flares. They are not too intensive though. The contrast is reduced a little when shooting against the sun. The lens produces some flares and reduces contrast a little in this situation. To keep it short: Chromatic aberrations, both longitudinal and lateral, are negligible overall. The lens performs very good in this regard. 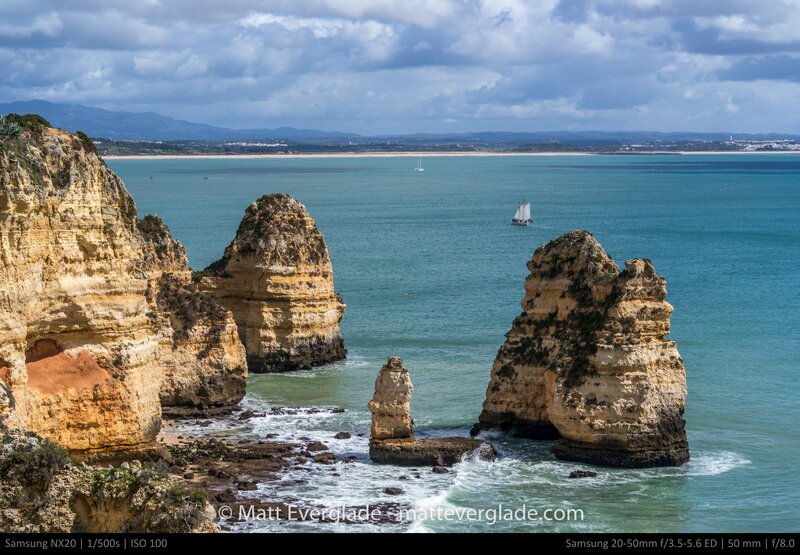 Samsung offers four zoom lenses with an similar focal length coverage. 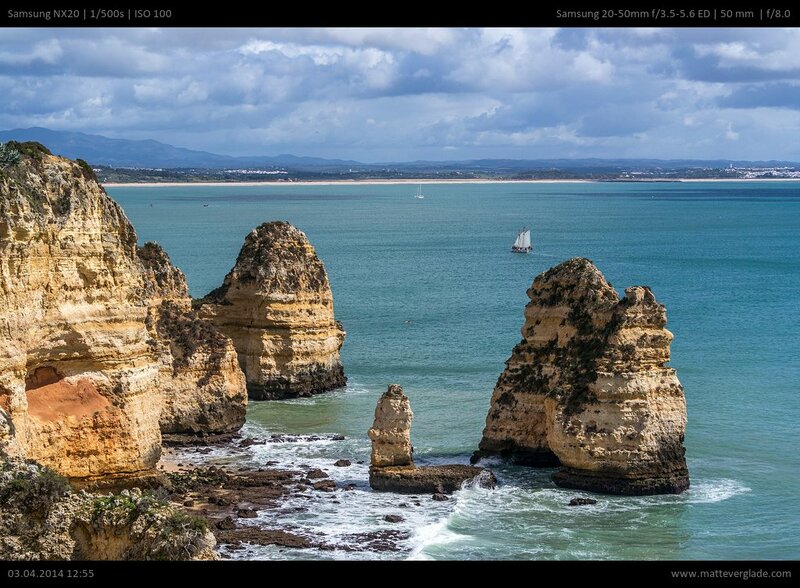 Samsung 18-55mm F3.5-5.6: It’s advantage is an integrated OIS and a faster autofocus. Additionally the filter thread has a more common diameter. Besides this there is not much you would gain by using this lens. In contrast it’s much larger than the Samsung 20-50mm. 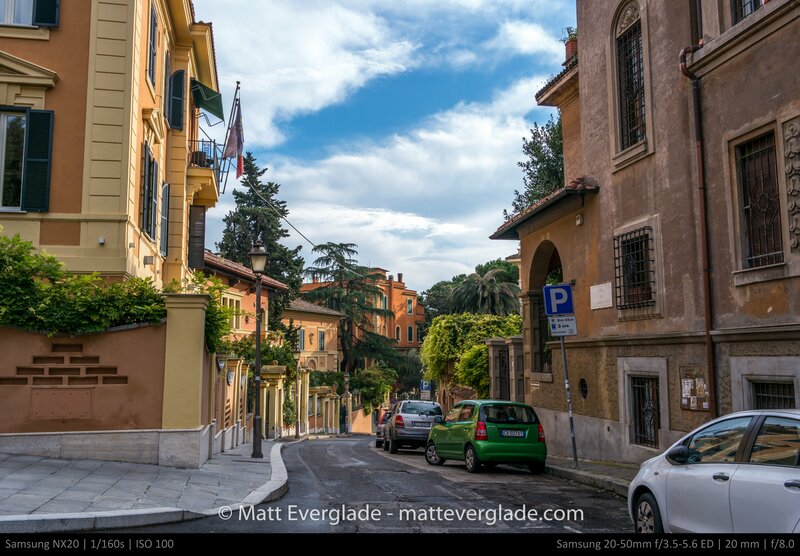 Samsung 16-50mm F3.5-5.6 PZ: This is the newest addition to the “cheap” kit lenses. It offers an integrated OIS, a good auto focus speed, a bit more wide-angle, has a better usable 43mm filter thread and is 1cm smaller. It has an power zoom which makes it more suitable for videographers. You pay for the advantages with a bit worse image quality. Overall this lens seems to be the more complete package in comparison to the Samsung 20-50mm and I would recommend it as a general purpose lens. Samsung 16-50mm F2-2.8 S: This is a premium-class lens which is much faster than the other kit lenses. It’s therefore much larger and heavier, but offers also OIS and a fast AF. If this is what you need, you should have a good amount of spare money. You might also think about buying cheap legacy zoom lenses. I wouldn’t suggest to do so as those old lenses usually perform quite bad on newer sensors. They usually can’t deliver enough information for the high resolution sensors nowadays. There are some expectations like the Minolta MD Zoom 35-70mm F3.5, but you are loosing the option to take wide-angle photos. This lens has many pros and cons, that might attract or distract you from this lens. If you are after a small and lightweight lens that delivers the best image quality of the non-premium Samsung lenses then this lens is well suited for you. If you need a snappy and/or quite AF, OIS or want to use filters extensively you should take one of the other lenses available. I replaced my Samsung 18-55mm kit lens with this lens as I wanted a smaller lens and the image quality was quite attractive. The cons were not that important for me as I had some other lenses as fallback (12-24mm, 30mm, 45mm). But without those lenses I would have stayed with the 18-55mm at that time. I just sold this lens again and replaced it with the 16-50mm PZ as it is smaller and provides an OIS which I don’t have on the other lenses. Additionally the filter thread is 43mm like with the other pancakes (16mm, 20mm, 30mm, 45mm). 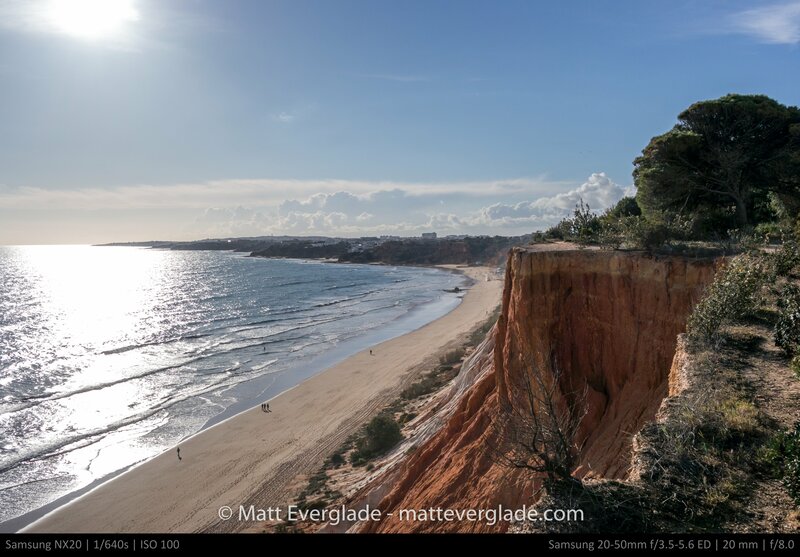 The image quality is a bit behind the 20-50mm, but if I need better IQ I can always switch to the other lenses I own. You can find more images taken with this lens in my corresponding Flickr set. 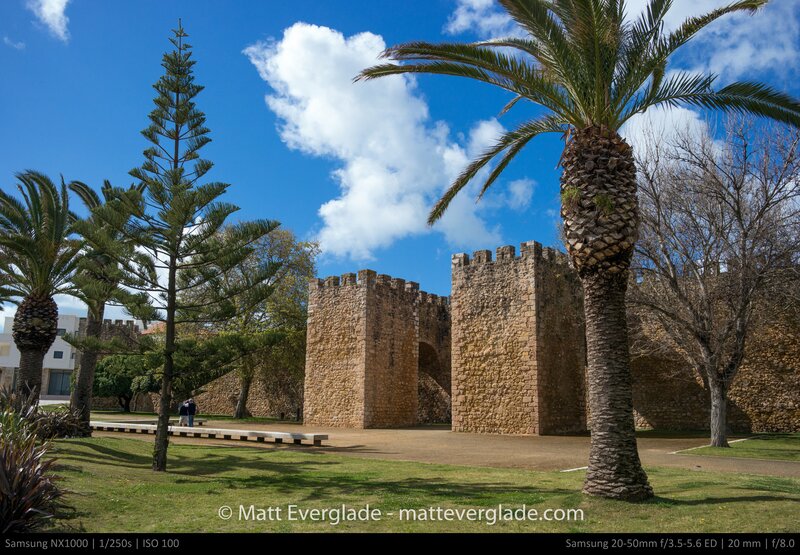 Comments on "Samsung 20-50mm F3.5-5.6 II Review"
Nice blog, dude! I was wondering if someone would be able to make detailed reviews for the NX and you do it very well, the site is informative and honest (other people are just salesman in a reviewer camouflage). 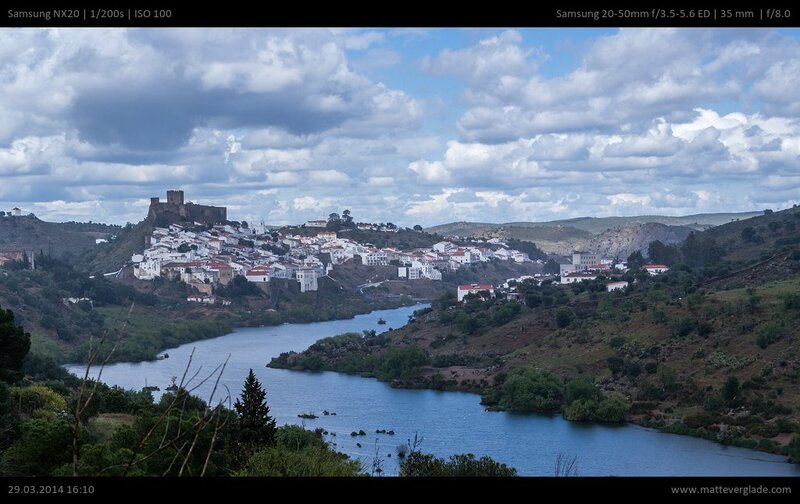 I bought the NX300 and I’m happy with the built quality but not the bundled lenses. I’ve got the 20-50mm kit “first edition”, as I would like to call it. They aren’t the revisited edition (II) and I know it because I cannot use that firmware. The problem for me it’s the image quality is bad, I see too much noise, even at lowest ISO. Another word to explain my frustration is “grainy”, I’ve got too many grainy pictures. On the tiny screen images looks OK but on my IPS screen or printed at home looks terrible, and doesn’t matter resolution, motive, etc (outside with good light are fine, as well as inside with flash). I have tried every setting option because I supposed it had something to do with too many “adds” on (HDR, metering, WB, filters… You name it). I’m very concern about the potential of my camera and I think its bad performance is due to the lens. At this point, I’m leaning toward to buy a good lens for my needs (45mm/f1.8) but I’m also considering SELL this camera and get another one from a well known vendor as Canon or Nikon. I also considered to buy some adapter and get some cheap third part lens but I sounds to complicated. What do you think about all this? Thank you in advance, pal. PS: I have not much alternatives because I’m a student, not a millionaire. Low light performance is not too bad on the NX300 so probably there is not enough light. Which aperture are you shooting indoors? Maximum? Then you might want to go for a lens with higher max. aperture, e.g. the 30mm f/2 or 45mm f/1.8. Reviews are coming, but so far both lenses are good. 30mm has a slow AF, but IQ is good and it’s a general purpose lens. 45mm has no big drawbacks, maybe the missing OIS. Both lenses are worth the money. Legacy lenses are not the best solution on NX, as you can’t move the focus loupe, but with peaking this works somehow. But no AF can be a no-go for some scenarios, depends on your needs. 30mm f/2 is a better focal length for indoor, 45mm probably too long. 16mm could be also a solution. But it really depends on your target and environment. Thanks for your replay. In my case, indoor pictures are terrible, I am forced to use the flash otherwise the image is blurry and dark. I take pictures on my kids for the most part and that is why so difficult because they do not pose, they just keep moving all the time. I gave up for that matter because the ISO has to be set high (I meant 3200+) and the quality is bad. My concern though is that I feel this camera (or lenses) is too grainy even at low ISOs, if you look closely, picture look like oil painting. I know you are a more experienced photograph than myself and I appreciate very much your hints on 30 and 45mm lenses. I suppose one has to choice between focal length or aperture in this case and I would pick more aperture, I do not think the dimension of my living room is a issue (mine is pretty small, do not think I am living in a castle!). Upon your experience, do you think that is that difference in aperture between 30 and 45 lenses too noticeable? Finally, do you think it is more likely for me buy prime lenses from Samsung or just sell my camera and get another one with better kit lenses for amateurs (for example 18-55 OIS) and more lens variety? What about that, Matt? you probably use low shutter speeds (1/500s or so), high ISO and the maximum aperture of the lens, to freeze the moving baby. Therefore you need to handle high ISO and grainy images anyway. This can be improved by using RAW file format (and applying custom noise reduction in Lightroom) as the JPEG engine for higher ISO is not very good. Another (budget) camera with another (budget) kit lens won’t help you as the light reaching the sensor is always the same. You could buy an Sony A7s, which has a good low light performance, but it’s expensive as hell. You need to get more light through the lens, e.g. by buying a faster lens. Both the 45mm and the 30mm give you between 1 and 2 stops more light, which would be ISO 1600 or ISO 800 instead of ISO3200, which is a good amount of improvement. Legacy lenses like an old 50mm f/1.4 would give you one more stop of light, but manual focussing with moving objects is not very easy. The 45mm might be a good solution for you as the AF is faster than on the 30mm lens or 20-50mm lens and it’s the fastest lens. Just make sure 45mm is a usable focal length for you, just check with the 20-50mm lens at 45mm. Danke! Thank you very much, dude. 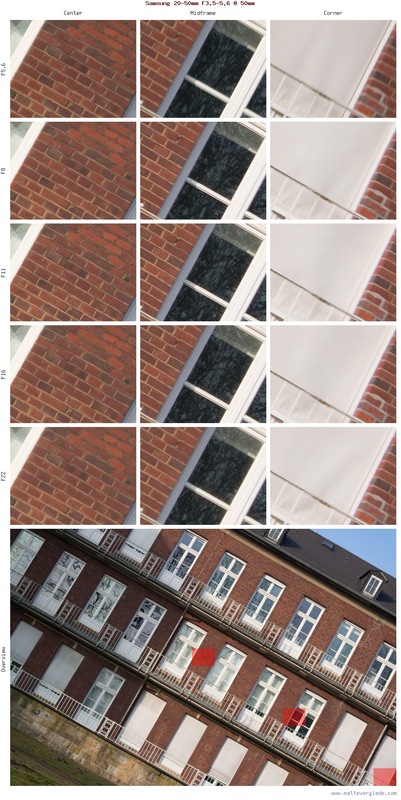 … Forget to mention but you are right when you say ” the JPEG engine for higher ISO is not very good”…. I have tested every settings for ISO noise reduction (LOW, HIGH, NORMAL) and I do not notice any difference. About the AF Speed of the 20-50mm (II). aren’t really much faster, but they are quieter, so more AF speed is implied, but isn’t really there. That isn’t really a difference that counts so much. Aber danke für die Vergleiche! i am curious that you say the 20-50 was better, that means you’ve found your reviewed 20-50 Mk. 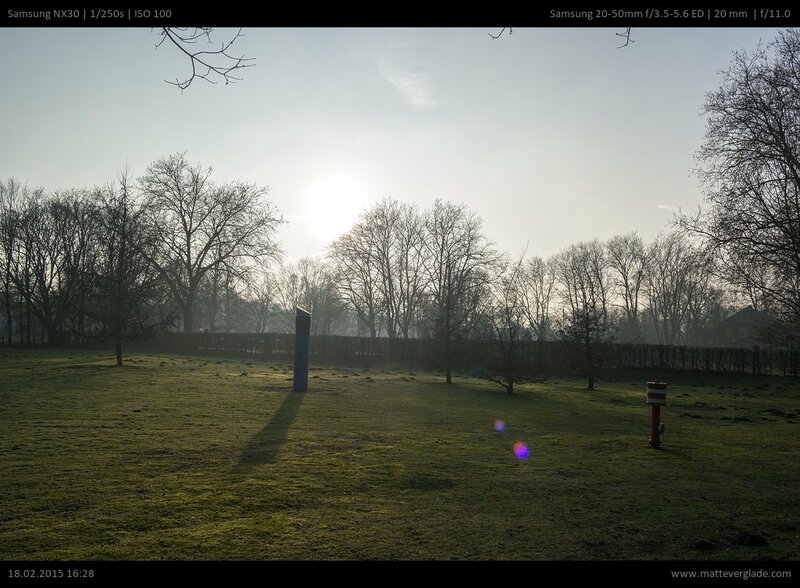 II optically worse, compared to this 1st iteration, say NX100 Kitlens?! As Samsung says, the Mk. II Version is only different from the housing, means design of the lens, optically it should be 1:1 the same – perhaps sample variation? I am not sure which part of the review you are referring to, probably the last sentence of the conclusion? This refers to the previously discussed 16-50mm PZ. So your point is correct. 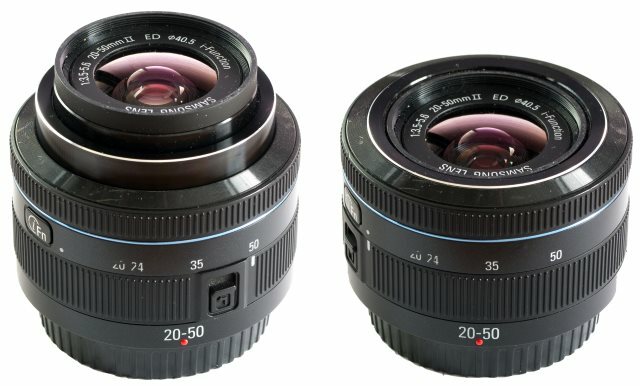 The 20-50 I and 20-50 II are optically the same and there should be no difference in image quality. I have not tested that systematically though. Nevertheless the housing of the second revision is much better. Hi Matt — I’m so happy that someone gave me your web site for the 20-50 Lens. I got one with the purchase of an nx 300. I had an 18-55 from the purchase of a 200. Then I read some of your tests regarding the 20-50 and in doing so I saw the other tests (16-50) etc. And, this is my question—In viewing your samples of these I could not see a big difference in the sharpness quality of those lens. Now, I admit that I am 83yr. old and my eyesight is still good but not superb. Oh yes, I also have the 50-200 II which is acceptable but not a trophy lens. I shoot mostly landscape and I’m thinking the lenses I have will take care of my needs. I have shot mostly Canon and have 3 or 4 good lens from 18 to 600 (the Tamron) The point is, at 83 I do not have a lot of energy and would prefer to carry the lighter cameras and my budget is restricted. So, please comment/suggest what would work well with my 200 & 300 Samsung cameras. I would love to have a 500 but just can’t swing the deal right now. I really appreciate all the good photography information you share with us and I will make a small donation to your site as soon as Social Security check arrives. Since advice did not appear to be forthcoming I did some research and decided I needed a 12-24 lens. It arrived today and although I have only had time to take a few backyard shots I think I’m going be pleased with my purchase. Now, I want to figure out how to afford a NX500. Anyone need a 9mm Sig? The NX500 is a very good choice for landscape. The improved sensor is better for high dynamic range situations compared to the old one (which wasn’t bad at all though). I like the 16-50mm PZ due to its small size and useful focal range. The 18-55mm was a bit too big for me, but if that’s not a problem then this lens is a good replacement. The 20-50mm was a bit fiddly with the locking mechanism, but that improved a bit with rev. II. Optically it is quite good, but lacks an OIS which might help a bit in low light situations of landscapes. I think you don’t need both. Choosing between the 30mm and 45mm… that is not easy to answer. It highly depends on your needs. The 30mm is really sharp, has below average bokeh, a slow AF, but it fits into many jacket pockets. And the last was the reason to keep it. 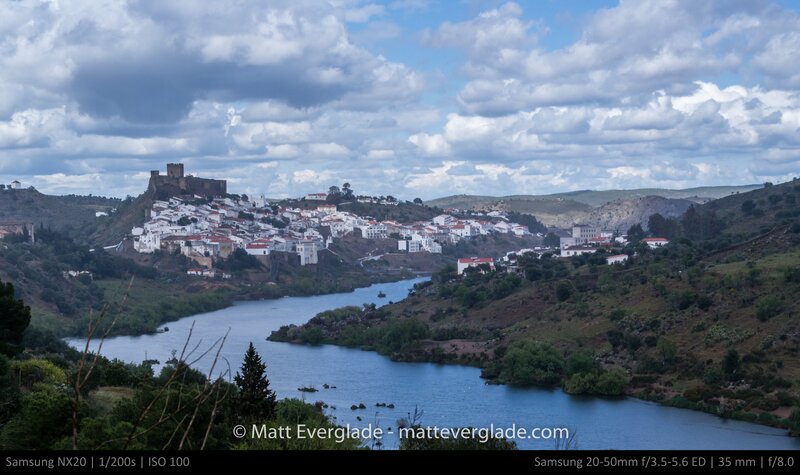 For landscape its pretty good, but if you want to do photos with shallow depth-of-field, e.g. porttraits, the 45mm is the better choice. Before selling some of my Samsung gear I often used the combination of 12-24mm, 45mm, 60mm Macro and sometimes 50-200mm on my travels. When going out with friends I pair my NX1000 with the 30mm. On my last travels I combined the Samyang 12mm and 16-50mm PZ with a Tokina 90mm Macro. I think I fixed the problem with PayPal now. Thank you for the hint. I thought it automatically adjusts to the user’s language, but it doesn’t. Thanks for the quick reply and you have given me some things to think about.